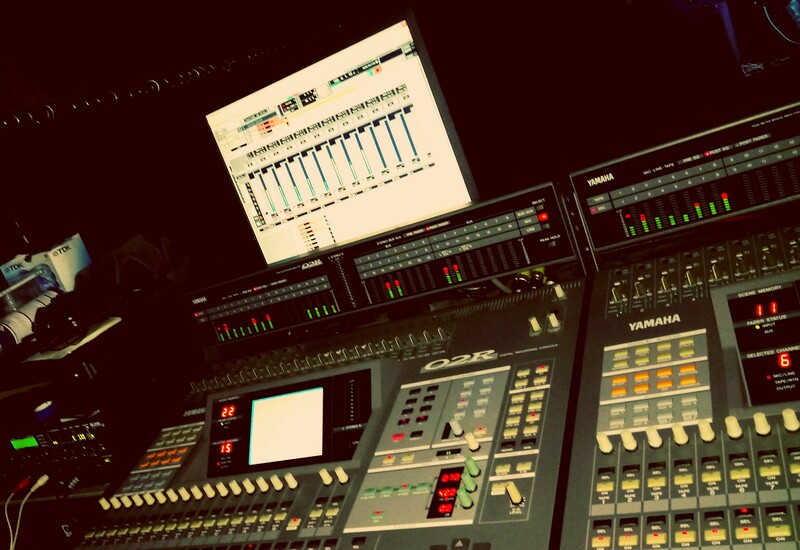 SOS Forum • Yamaha 02R digital mixing console. Re: Yamaha 02R digital mixing console. im going to have to use something much more surgical to make sure though. MusicScope confirms im getting the dynamic range of 24 bit and there are no unused bits at 24 bit, no blue bits showing at all on the analysis. so basically im getting 24 bit data out of those TDIF-II cards. Back through lightpipe and back into my UAD Apollo, super clean no noise. they will not do 24 bit without the split and reassemble trick yamaha use. Ive also bounced a 20bit audio file through as 24 bit and it shows 4 blue unused bits on the play through, so i dont know what the crack is here, all i can say is, if you used the TDIF 2 cards and flick the 24 bit dip switches on im getting fully usable 24 bit I/o with a full channel count, none of this half the channels garbage ! Certainly no noise, i cant find any noise on the capture at all, even fully cranked on the focals ! Well, that's a good result, and it makes sense, and 20 bits via ADAT is perfectly workable and really won't be inferior to most 24-bit converters' performance anyway! This, exactly this. I couldn't agree more. It's great to see there's at least one other person happy with the results from their 02R. I never looked at it this way : "Conventional 32-bit floating point desks have to pass 24 bit audio mantissas between signal processing stages, whereas a fixed point desk can maintain longer word-lengths throughout the signal processing chain... so there is less need for interstage rounding/dithering and that may well retain low-level detail that is lost in floating point systems" Interesting thought as I have read and thought I understood the details between floating and fixed point... but that statement makes more sense that anything else I have read about it. Any way, I came back here to see if this conversation was still on. I am glad to see that there is some love for the 02r out there... if you look at some other forums you hear the term "boat anchor" and "door stop" used quite a bit. I too am pleased there's both a current-day discussion and some love for them. Whilst they'll never hit the legendary status of something like a Fender Strat or Vox AC30, I do feel they deserve their own place in both history. Maybe I'm biased a little because of my personal involvement with these things over the last 5 years or so but I still feel they're capable and relevant. Two of the three I own in operation at work this weekend - March 2019. Manufacturer drew a blank with generating a license - does anyone know where I can get a license please? I don't think TC do them anymore which is a frustration.. It was suggested (I can't recall where) that you can reset the memory on Unity cards by taking the battery out briefly. This apparently will give you both licenses for 100 hours of service - when it runs out just reset and go again.. It's a bit inconvenient to pull it apart - maybe you could leave the battery out although saving things might be a nightmare? It's a pain TC don't really support them anymore but because they still sound so good, it's hard to remember they're 20 years old. IMO they sound at least as well if not better than my M1 unit..
Hope you have some success and sorry I can't be much help but the above might give you a solution for the short term. Gentlemen: As someone who spends most of his time at the shallow-end of the forum helping newcomers become more-proficient swimmers, can I say what a pleasure it's been to venture up to the deep-end and read your learned and civilised discourse. I've a couple TC unity cards for my 02R console. Unfortunately I lost the license codes. I tried TC electronic but they destroyed their codegenerator and their archive. Now I'm reengineering; based on the serial number I try to find out the license code. But I need some valid licence codes (M2000 and/or Finalizer) with the according serial numbers. Who can help me with this information. If I found out I can probably help others who also lost their license code or maybe want to enable the M2000 or Finalizer.